> Research Library > HP > Make your projects more awesome with Z. 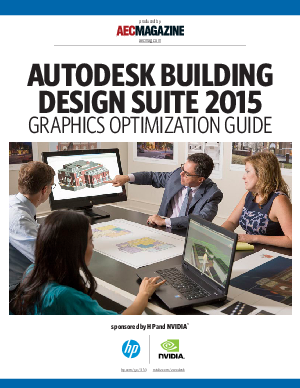 Register below to gain exclusive access to the HP-NVIDIA® Autodesk Building Design Suite 2015 Graphics Optimization guide to help you get the most out of your workstation. Upon submission of your personal information, an HP representative will be in contact in regards to your interests and needs.